As fall harvest bounty kicks into high gear, farm stands beckon shoppers with signs: Local! Organic! Natural! No Spray! Sustainable! Organic is defined by strict federal standards. But what do these other claims really mean, and how can shoppers identify a flimflam man from a legitimate local farmer? A new two-minute video identifies the value-added externalities that come, at no extra charge, with every purchase from a legitimate local farmer. 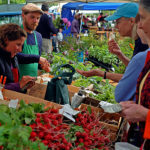 The Cornucopia Institute, a farm and food policy research group, has also released a Do-It-Yourself (DIY) Organic Certification guide to help shoppers navigate their local markets and reward the most ethical farmers, while bringing home the healthiest food for their families, when a certified organic farm vendor is not available. “It’s important to know that just because it’s called a farmers market, this does not mean that all of the food for sale was grown locally or organically,” said Linley Dixon, PhD, Cornucopia’s senior scientist. “There are instances of greenwashing at farmers markets, ranging from reselling industrial produce that was bought wholesale, to ‘no-spray’ and ‘natural’ signs that may, or may not, mean what you think they do,” Dixon added. That’s why Cornucopia highly recommends buying from a certified organic vendor, or CSA, if there is one available. “These are farmers who jump through all the hoops, maintaining scrupulous records and open their operations to inspections every year,” said Dixon. The video clearly illustrates that buying food at farmers markets, member-owned co-op groceries and independently owned stores, along with joining a community supported farm (CSA) creates community, local economic viability and delivers food that might have been harvested 10 hours ago rather than 10 days ago in California or Mexico. Cornucopia published the DIY guide because many smaller, local farms have chosen not to go through the organic certification process and, without third-party inspections, consumers need to be a bit more engaged in judging the practices employed on these non-certified farms. 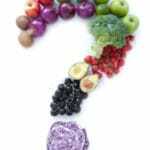 Cornucopia’s new guide helps patrons ask market farmers the kinds of insightful questions that an organic certifying agent would ask when inspecting an organic farm. How was it grown (produce)? How was it raised (livestock)? Under each of these categories, the guide discusses issues like the difference between free-range and pastured eggs, the importance of soil health for combating plant diseases, why hydroponics is not organic, and the differing approaches to animal welfare practices. “We hope shoppers use this guide to become more comfortable talking to farmers. 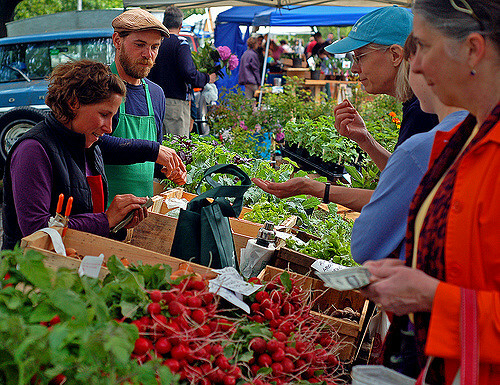 It offers an easy-to-understand background on key farm practices that can form the foundation of meaningful farmers market conversations,” said Mark Kastel, Cornucopia’s Senior Farm Policy Analyst who narrates the video.